The rapidly changing structure of urban social and economic activity in recent years has given rise to a great deal of concern regarding the fate of that area of the city where economic activity is chiefly concentrated: the central business district (CBD). This book, a geographic study of the changing nature of CBDs, represents a concise, well-ordered, and readable attempt to deal with that concern. Written by a widely known authority on the subject, it provides a comprehensive summary and analysis of much of the research done on CBDs over the past two decades and establishes many striking generalizations regarding the past, present and future evolutions of CBDs, both in this country and abroad.Using maps and diagrams where helpful, Murphy, a pioneer researcher in this field from the standpoint of economic geography, provides the record of his own and others' attempts to define CBDs and to develop theories about them. 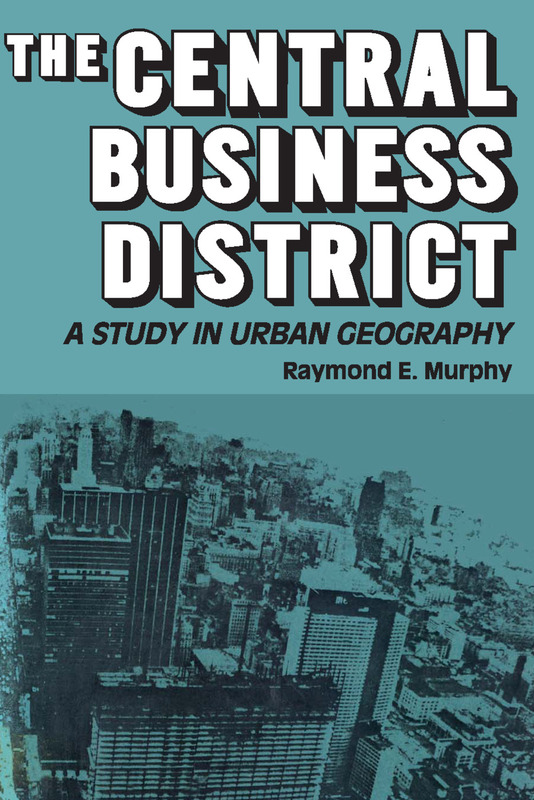 He not only presents the story of the research attack on the CBDs of a number of cities, including estimates of their probable future, but also details a practicable technique for delimiting and studying CBDs.An important feature of the book is the attention Murphy devotes to the valuable work done in this field outside America, and his examples, which fully cover the American experience, are by no means confined to it, taking in important urban centres throughout the world. This book, intended for anyone interested in the urban scene, will be particularly helpful to students and teachers of urban geography and to practicing urban planners.